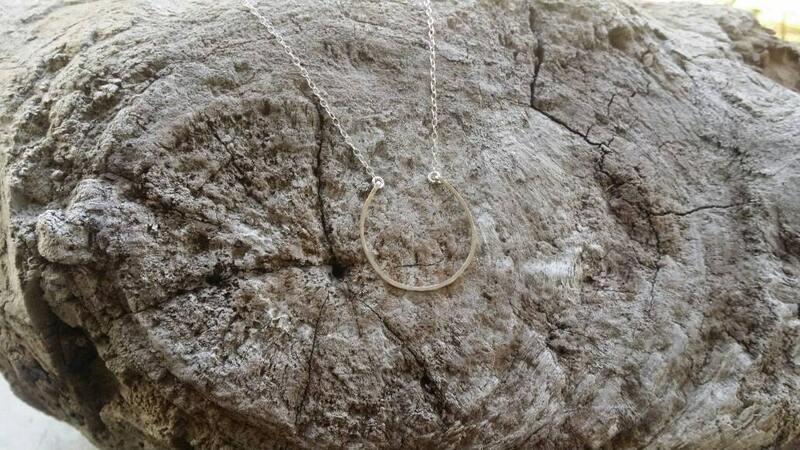 This delicate layering necklace is created by hand from a high quality sterling silver wire which has been hammered into a pretty circle shape. The circle has been left open to give a unique look. 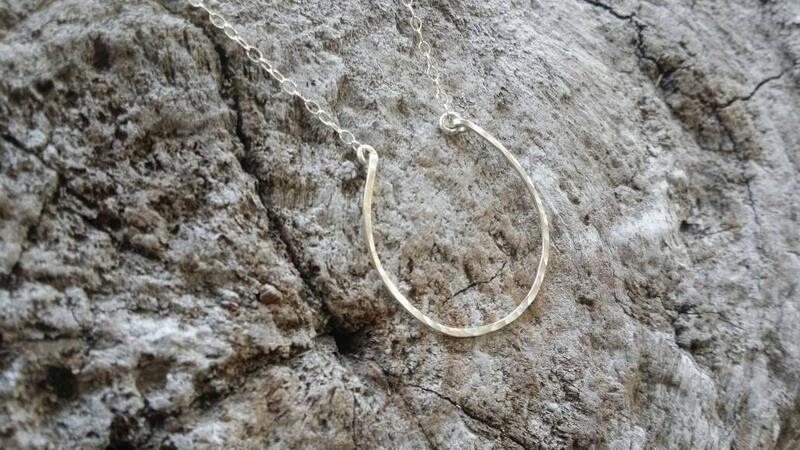 It has a delicate but strong sterling silver chain attached to each end with a sterling clasp in back. 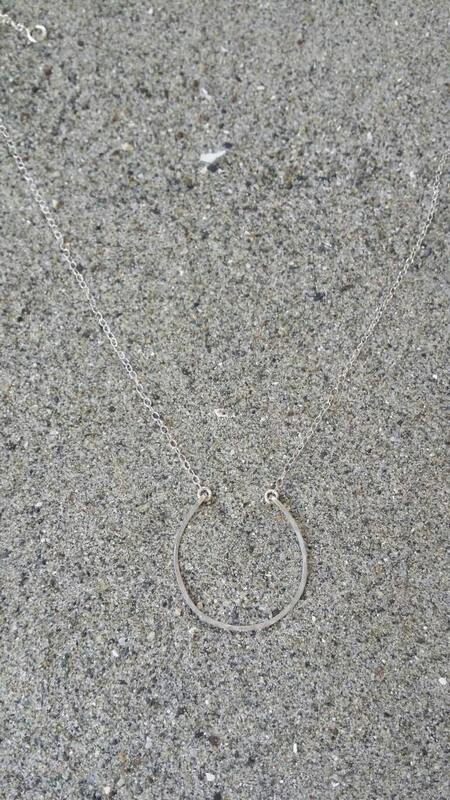 Layer it or wear alone for a simple, delicate addition to any outfit. 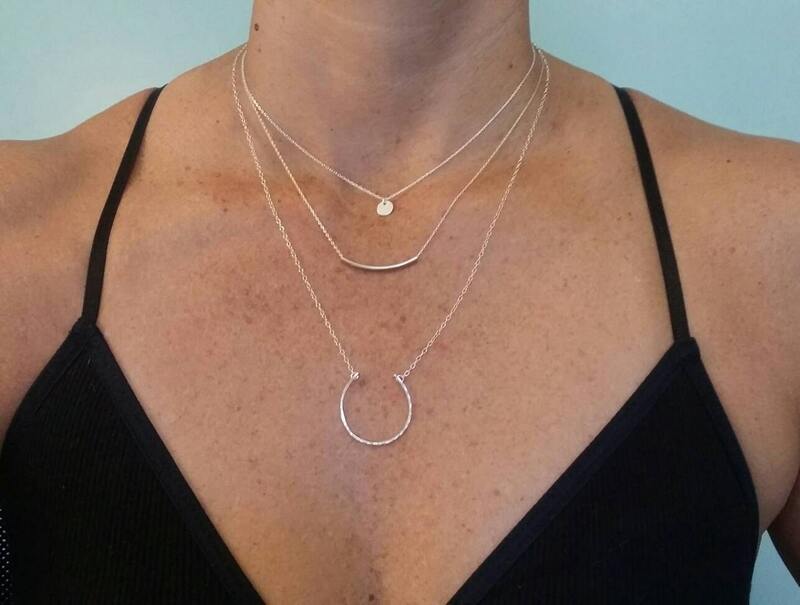 Shown here in 20" Length layered with our teenie tiny hammered circle (shown in a 16" length) and our sterling tube necklace (shown in a 18" length). 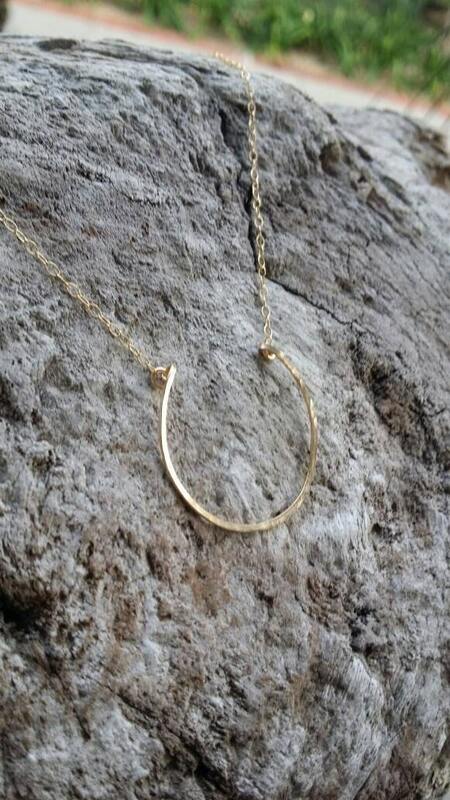 Can also be made in gold fill.